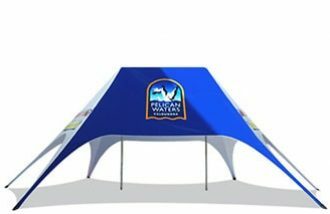 Extreme Marquees offers the largest range of pop up gazebos, tents and marquees, including folding and fold out tents and gazebos in Australia and has been manufacturing marquees, gazebos and outdoor shelter solutions since 2003. 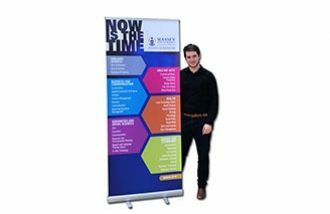 Our range has a suitable marquee for every purpose and every budget and can be easily accessorised with our range of banners and promotional materials. Importantly, every pop up tent and gazebo in our range comes with a full engineering structural certification, essential if being used in a public place or for a school or club event. Only the highest quality raw materials are used in the production of our pop up tent canopies and their folding aluminium and steel frames. Our canopies are rated UV50+, waterproof, fade resistant and fire retardant to meet Australian Standards. Full colour custom printing is available on every folding marquee, gazebo and tent canopy in our range. Our graphics team can assist with logo reproductions through to complete concepts and designs so be sure to view our business marquee packages. Our folding marques are shipped daily to Sydney, Melbourne, Brisbane, Adelaide, Perth, Hobart and New Zealand daily. Spare parts are available for all frames and our technical design engineers are available to answer any questions relating to marquee setup or repairs. All of our fold out and folding tent and gazebo products have been designed, manufactured and assembled under the supervision of qualified structural engineers. In addition to this, in a bid to illustrate just how strong these folding gazebos really are, Extreme Marquees have attained full structural certification for its entire range of marquee products. So, what exactly is the Extreme Marquee range? Extreme Marquees’ pop up and folding tent, gazebo and marquee range has been designed and engineered to be light weight, structurally sound, easy to set up and most importantly, safe to use in a variety of weather conditions and situations. 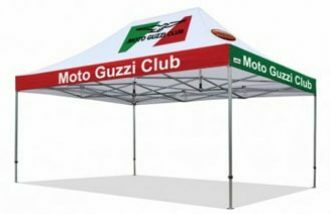 At Extreme Marquees we acknowledge that there is no standard order, and that each customer has their own individual needs; for this reason our pop up and folding gazebo range comes in five different strengths. These range from the cheaper Mate folding gazebo, to our Explorer, K2, Summit and lastly our heavy duty Tectonic folding tent. With this extensive range, Extreme Marquees provides a folding marquee for every budget and application. As well as offering many different strengths in our folding marquee range, we also offer them in a variety of different sizes. These sizes include 2.4×2.4, 3×3, 3×4.5, 3×6, 4×4, 4×6, 4×8, 5×5, 6×6 Cobra and a 5.5×5.5 hex. All these marquee frames are manufactured from 6005 T5 aluminium alloy and this material is used to assure both structural stability and good aesthetics. Our extensive range of pop up, folding and fold out gazebos can also be equipped with an extensive range of canopies. These canopies are available in a range of different colours and for two different materials – our lightweight, flexible and more cost-effective polyester roofs and our heavy duty, durable PVC roofs. Shop online with Extreme Marquees and find the perfect pop up gazebo, folding marquee or fold out tent for you!